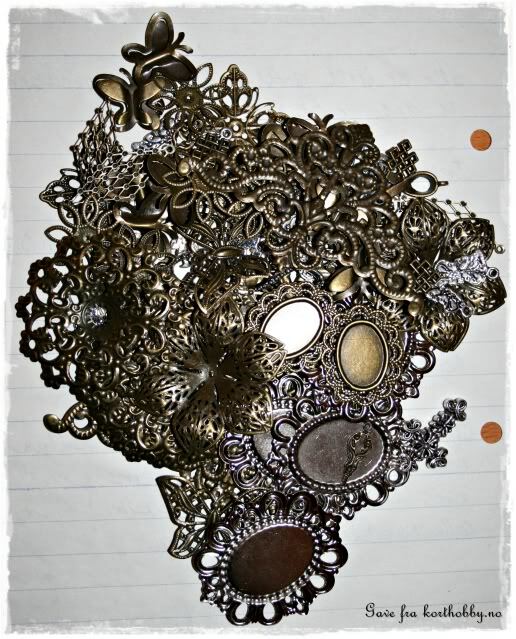 Tindaloo in CyberSpace: Scrappy treasure!!! I also got myself the latest Tim Holtz distress inks, so now I have a full collection yet again! ♥ Absolutely gorgeous colors! I've bought 9 of my missing ElfQuest albums (the old norwegian edititions) from a second hand bookstore in Trondheim, Wangsmo's Antikvariat, and I've enjoyed so much to read them again. I LOVE theese elfs, so facinating and beautifully drawn. Wish I could have them as rubberstamps as well - now that's an excellent idea!!! Wonder if I shall ask the Pini's? 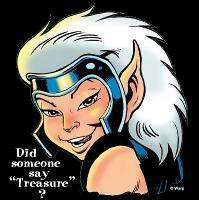 Visit the elfs at ► ElfQuest.com You can even read the comic books online! I was drawn a lucky winner march the 30th. on the That's just so cute challenge #7., and I got the prettiest metal embellies ever in the mail a week ago, from KortHobby! I got picked on March 15th. as one of the Hero Arts Secret Goodiebag Candy winners on Sir Stampalot's challenge blog! I'm so exited to see what's in my bag!!! Edit 3rd. of June: AiFactory brushes set received! -> it was apparently sent the first time around to my email, but bounced! And here I thought they forgot about me! Edit 18th. of June: Hero Arts stamps received!!! Yippi - awesome!!! Oh wow, you should buy a lottery ticket! Luck seems to be on your side! Warm Hugs / Tilda med bukett! Brunte Card & BlogCandy winner!